My favorite thing to do while traveling in South Carolina is to take pictures of wildlife, especially birds. Spotting a bald eagle last December while kayaking in the marsh at Cherry Grove Beach is by far the most cherished bird watching moment. 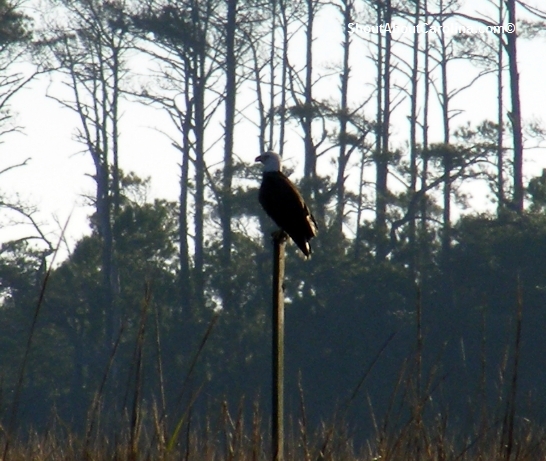 The majestic bald eagle returns to South Carolina coast. Witnessing a great white egret couple, delicately preparing their nest for the upcoming chicks, is a close second favorite encounter. And here is the rest…get out there and enjoy nature at its best!